Eating a nutritious diet is one of the most important things you can do to maintain your health. 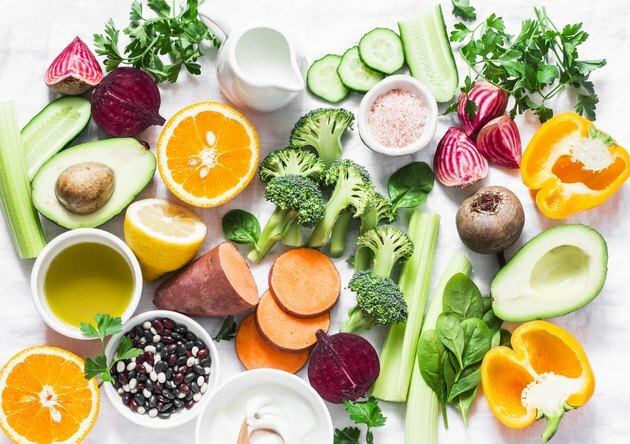 In addition to providing your body with the fuel you need to get through the day, smart eating also helps ensure you get the right amount of vitamins and nutrients. The B vitamin sources include the foods you eat. While possibly less familiar than others like vitamin C and D, the B group plays an equally important role in keeping your body functioning properly. Collectively, the B vitamin group helps you harness and produce energy from the foods you eat. In addition, each of the individual vitamins serves a more specialized role in keeping you healthy. Biotin: Helps you store energy and metabolize the carbs, fats and protein that you consume. Niacin: Produces cholesterol and aids in digestive and nervous system function. Folic Acid: Assists with the formation of red blood cells and helps to prevent certain birth defects in women who are pregnant or who are trying to conceive. Pantothenic Acid: Aids in the production of red blood cells and hormones, helps to metabolize fats and assists with the function of our nervous system. Riboflavin: Helps produce red blood cells and plays a role in growth and development. Thiamin: Ensures the nervous system is functioning properly. Vitamin B6: Assists with the production of red blood cells and hormones, ensures the digestive and immune systems are running smoothly and metabolizes the carbs, fats and protein that you eat. Vitamin B12: Aids in the formation of red blood cells and keeps the immune system functioning correctly. *NOTE: There's a difference between mg (milligrams) and mcg (micrograms). Some B vitamin foods are especially good sources of just one type, while other foods contain several B vitamins. 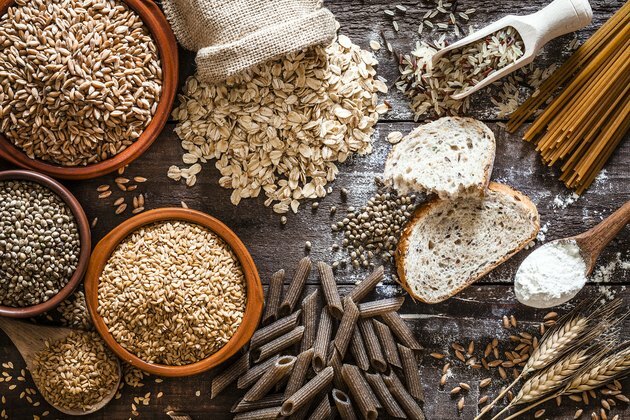 Luckily, B vitamins are widely distributed throughout the food supply, so if you're eating a varied, balanced diet that includes foods from all food groups, you’re most likely getting as many vitamins as you need. But if you want to be sure, here are some of the most common sources of B vitamins in your diet. Just like mom used to say, make sure you eat your veggies! Consuming green vegetables such as spinach, asparagus and broccoli is an efficient way to get many of the B vitamins you need. These foods are known to contain ample amounts of folic acid, pantothenic acid and riboflavin. Be sure to include whole grain bread, cereal, rice and/or pasta in your meals each day. These foods provide you with biotin, folic acid, niacin, pantothenic acid, riboflavin, thiamin and vitamin B12. To make it easier, many of these items may also be enriched or fortified with additional B vitamins after they're processed to add to their nutritional content. Many different types of meat and fish contain several of the B vitamins. Seafood like salmon, tuna, oysters, clams or haddock offers significant amounts of biotin, niacin, pantothenic acid, riboflavin, vitamin B6 and vitamin B12. In addition, poultry contains high amounts of riboflavin, vitamin B12, niacin and pantothenic acid. You can also find biotin, niacin and thiamin in pork and niacin in beef. Legumes like black beans, chickpeas, lentils and soybeans are a fantastic source of the B vitamins. Including plenty of these in your diet is an easy way to get your vitamins, especially for vegetarians who are unable to get their nutrients from meat. This food group is chock full of folic acid, niacin, pantothenic acid, thiamin and vitamin B6. Citrus fruits like oranges, grapefruits, lemons or limes contain folic acid and smaller amounts of several other B vitamins including thiamin, riboflavin, niacin and pantothenic acid. These same vitamins can also be found in a glass of orange or grapefruit juice. Fortunately, it's not overly difficult to increase the amount of B vitamins you consume. Making small adjustments to your daily routine can make a large difference in the amount you take in. Here are some tips to up your daily intake. Try making an omelet for breakfast in the morning. 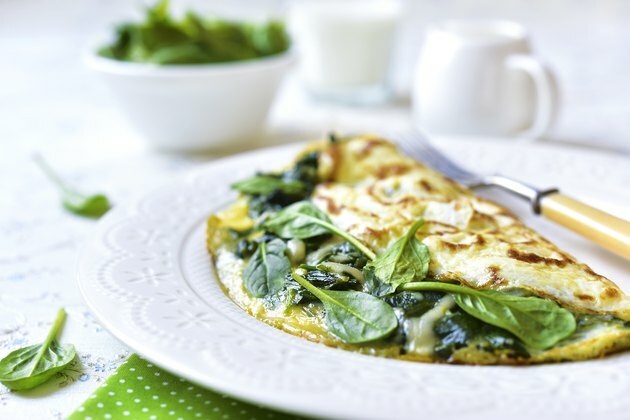 In addition to the eggs, including items like spinach, cheese, ham or bacon ups your consumption of several of the B vitamins. Whip up a custom trail mix to take with you to work or school. Include plenty of peanuts, sunflower seeds, sesame sticks and dried peas along with the standards like raisins or chocolate chips. For an easy lunch on the go, soups are another great way to incorporate multiple B vitamin-rich foods into your diet. In addition to chicken or beef broth, try including foods like sweet potatoes, lentils, beans, peas or some type of meat or fish in your soup to add more vitamins. Plan an Asian-inspired dinner and make a stir-fry. Adding in foods like whole grain rice, chicken or seafood, peanut sauce and broccoli will help increase the number of B vitamins you take in. If all else fails, B vitamin complex supplements are widely available over the counter. Before you begin using one of these, however, it's best to speak to your doctor so they can give you specific recommendations on dosage. How Much Vitamin B-6 Should You Take Daily?